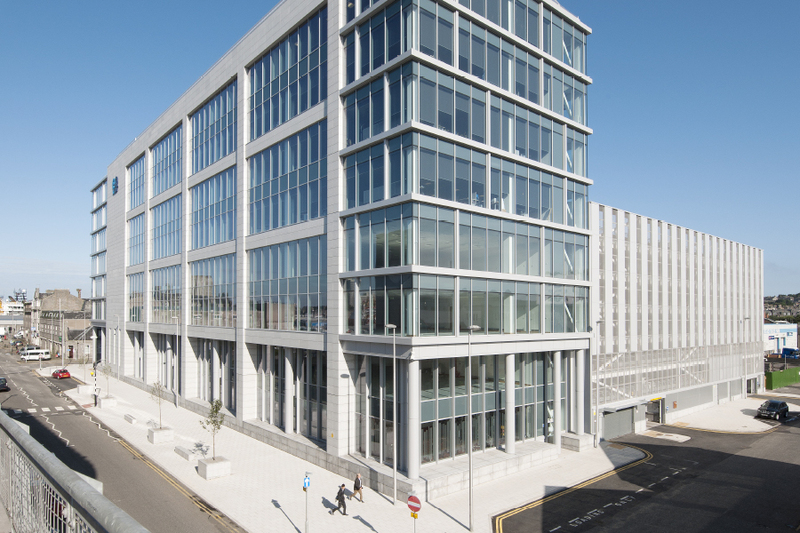 The Aberdeen waterfront skyline has been be altered by the construction of this office development and multi-storey car park, by Drum Property Group. The project saw the demolition of the former seafood bark park in the harbour area. Phase 1 of the project, which is complete, has delivered a high quality eight-storey office development extending to 140,000 sq ft of Grade A office accommodation and an associated multi-storey car park, which has become the new North Sea headquarters for EnQuest plc. Fairhurst worked as part of a strong design and build team, following novation from the developer. Clear span floor plates with little or no internal columns and a facate almost entirely wrapped in floor to floor curtain walling were a couple of the challenges for the structural team.